All factors being equal, most homeowners would choose to install central air conditioning over A/C window units. Seamlessly Integrates In Home: Central air happens outside, where you rarely see it, unless you're outside mowing the lawn or BBQ'ing. Inside, there is no indication that you have a central air unit, except for vents and the thermometer. Even Distribution of Cool Air: Every room will have a vent, and these vents will be located advantageously. Decent Resale Value: Central air is considered a permanent addition to the house and returns good resale value upon the sale of the house. Lower Product Cost: Window A/C units are very cheap, with 5,000 BTU units for double-hung windows going for as low as +/- $100. Slider and casement windows are a different matter and I discuss them later. Scalable, Flexible: Window units put cool air only where you need it. Many homeowners find that they can tolerate warmth during the evening, but cannot sleep well at night. Thus, they install a window unit in the bedroom only. Or you can set up one in your living room, another in the kitchen, and one more in the bedroom, leaving other parts of the house non climate-controlled. Easy and Inexpensive To Repair System: When you have a system of multiple window units, if one unit breaks down, you can pull it and replace it with another one. High Product and Installation Cost: Entry cost is very high, and this is the singular obstacle to central air for most homeowners. Expect to pay about $5,000 for the entire package--unit and installation. If you don't have ductwork, that figure increases. Ductwork Is Invasive and Costly: If you need ducts and vents installed, then the contractor will need to open up parts of your attic, crawlspace or basement, and walls. Along with the cost of running ducts and vents, there is the cost of drywall work and painting. 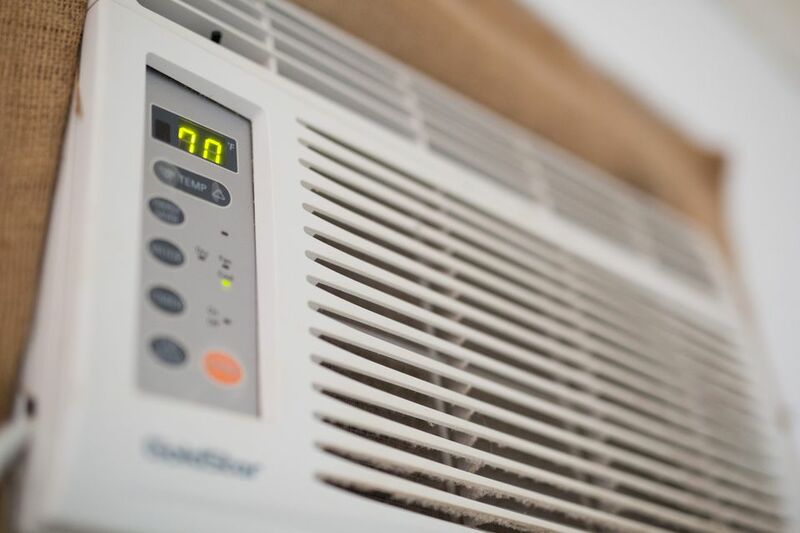 Cool Air Everywhere, Even Where You Don't Want It: Central A/C pushes cool air to every part of the house, even in rooms where you may not want it. Yes, you can close off vents to those rooms, but the cool air is still pushing out to those ducts in those closed rooms. Zero Resale Value: Window units are not mentioned in real estate sales literature. They are not considered permanent additions, even if they do go with the house. Blocks View: Half of the window--the better, lower half--is blocked by the window unit. Higher Cost For Slider Windows: The +/- $100 quote for double-hung windows does not apply to slider and casement windows, which require special units. These units are significantly more expensive: 4x to 5x higher. Difficult To Install: Window units are heavy and it is a touchy balancing act to get them in the windows. Second-story windows are even harder. Prevents You From Opening Window: As long as the unit is in the window, you cannot open the window to enjoy fresh air (though you can turn on the fan to bring in fresh air, without activating the compressor). Potential For Damaging Windows: No matter how hard you try to sensitively install your window unit, the chance that you may damage weatherstripping or tracks is high. Possible Burglar Entry Point: Ambitious burglars can remove the window unit and access your house. Storage Concerns: Where do you put the units in the off-season? They must be stored somewhere, and because they are big, they do take up significant room. If you have 30 or less days each year where you need cooling, it is economically wise to install window units rather than central air. However, if you have a large house with many rooms, and you want all or most of these rooms to be climate-controlled, I recommend installing central air, even if you are below that 30 day limit.